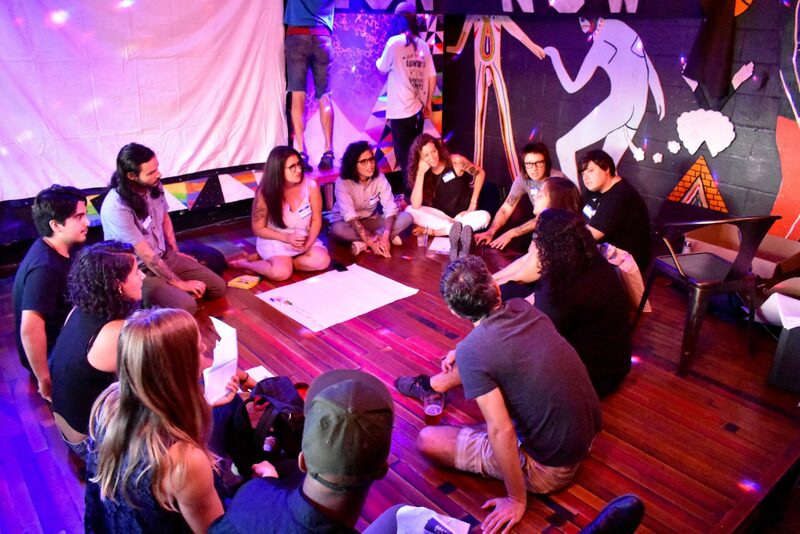 Last Tuesday, 25 artists came together at Cheer Up Charlie’s Bar to brainstorm how to resist SB4 through creativity and artistic expression. 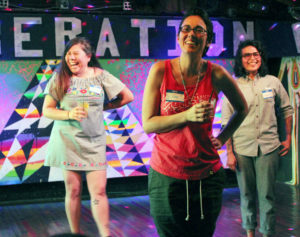 The Artist Happy Hour event was part of Basta Texas, a joint campaign between Jolt and the National Day Laborer Organizing Network that seeks to fight against the racist SB4 law before it goes into effect on September 1, 2017. Through Basta Texas, we’ve been resisting hate through community organizing, educating people about their rights, and engaging with politics. 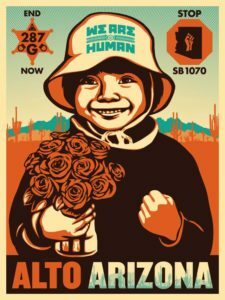 Indeed, artistic expression generated huge momentum for Alto Arizona, the campaign that brought an end to Arizona’s SB1070 “Show-Me-Your-Papers” law. 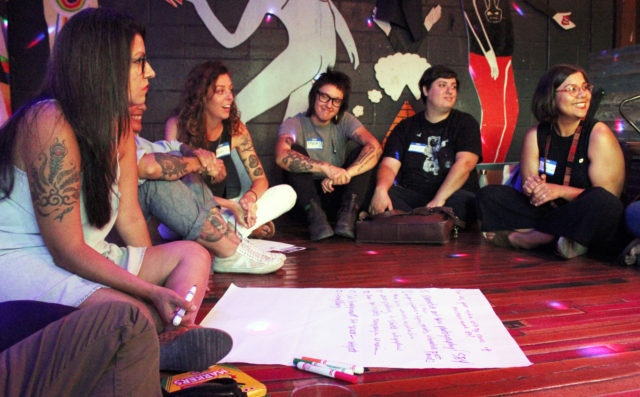 The success of Alto Arizona— along with the countless other historical examples of art galvanizing resistance– inspired us to create community and power through protest art with the Artist Happy Hour. To kick off the event, we heard from Jolt Director Cristina Tzintzún and the event’s four hosts — musician Gina Chavez, visual artist Claudia Aparicio-Gamundi, filmmaker Chelsea Hernandez and photographer Leandra Blei — on why we need creativity to fight back against racism and hate. The artists then broke up by medium to brainstorm ways to uplift stories of resistance around SB4. When the entire group reconvened, incredible ideas emerged, from a collaborative exhibit showcasing images of protest to a mobile storytelling unit that chronicles the everyday fight against the racist law.  The Artist Happy Hour created incredible momentum thanks to the innovation of the artists who came; stay tuned for the projects that will emerge. But this was just the beginning. Now, we need you to join us in the fight against SB4 by speaking out through your art. Visit the Basta Texas webpage and use the resistance art feature to submit your own creative acts of protest. Together, we can give voice and power to this movement.